MAH CET 2017 Results MBA & MMS: The wait is over guys as the result for MAH-MBA/MMS-CET 2017 will be out on 10th March 2017 after 5pm. 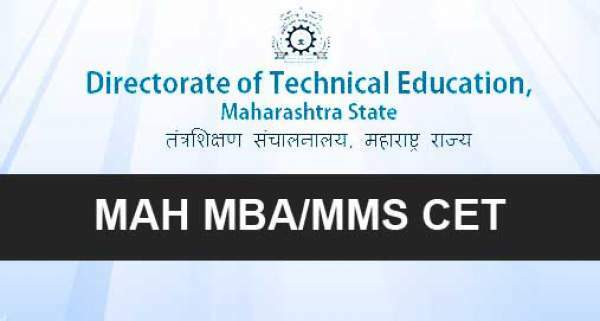 The Directorate of Technical Education (DTE) Maharashtra organized a common entrance test (CET) for getting admission in MBA (Master in business administration) and MMS (Master in Management Studies) in various recognized universities in the state. This MAH-CET for MMS and MBA was organized on 4th and 5th March 2017. This entrance test will open gates of over 200 colleges for students who’ll pass this exam. A large no. of aspirants appeared in the online examination who wanted to go to their dream college in Maharashtra through this CET. This MAH-CET is an online exam that contains multiple choice objective type questions in the section of verbal ability, and reading comprehension, quantitative aptitude, logical and abstract reasoning.overall the exam paper hold 200 questions which were to be attempted in two and half hour. DTE will also conduct and entrance for admission into Masters in charted accountancy (MCA) course in the state on 19 March, and the results of this test will be announced in March 2017. DTE plays an important role in maintaining and enhancing the standard and quality of technical education by applying the policies, making developing government institutions, guiding and looking after the aided and private institute, interacting with industry and national level institution, etc. Steps to download your MAH CET 2017 Results MBA & MMS. Follow the quick and easy way to check yours. complete all the entries shown on the page and click on submit. You’ll see your result on the screen. Download your result and don’t forget to take print out for future enquiry. Out team wishes every aspirant a very good luck and a bright future.